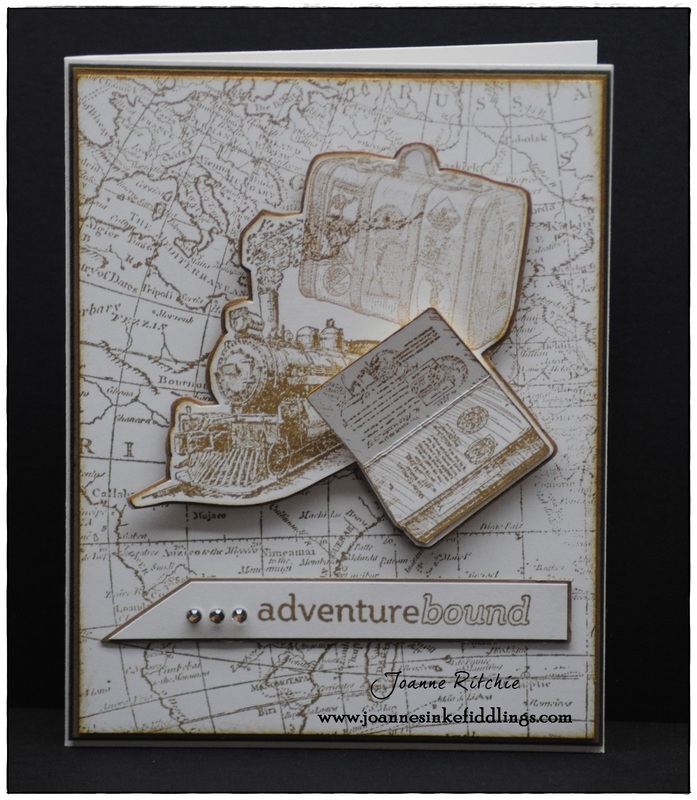 The Traveler Stamp Set would have to be one of my ALL-TIME favorite stamp sets. 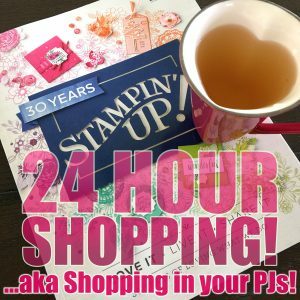 Combined then with the World Map background and the Project Life Remember This Stamp Set… talk about the winning trifecta – WOW! The Project Life Remember This Stamp Set was actually the incentive for these cards as the stamps for me lent themselves to more than scrapbooking. 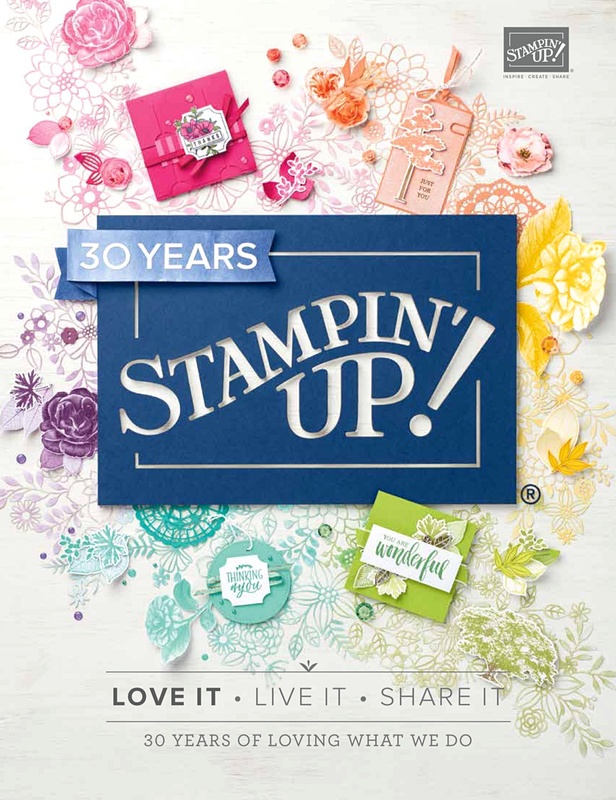 The “old world” feel of the Traveler Stamp Set is simply glorious! 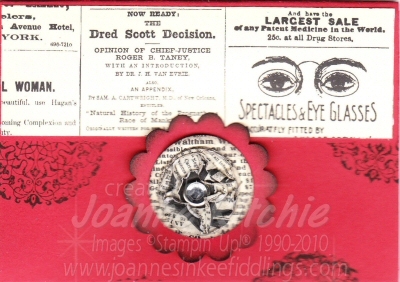 For the next card I couldn’t resist treating it as I would a scrapbook page, making it more three-dimensional than I normally would by having the cover of the passport not adhered. 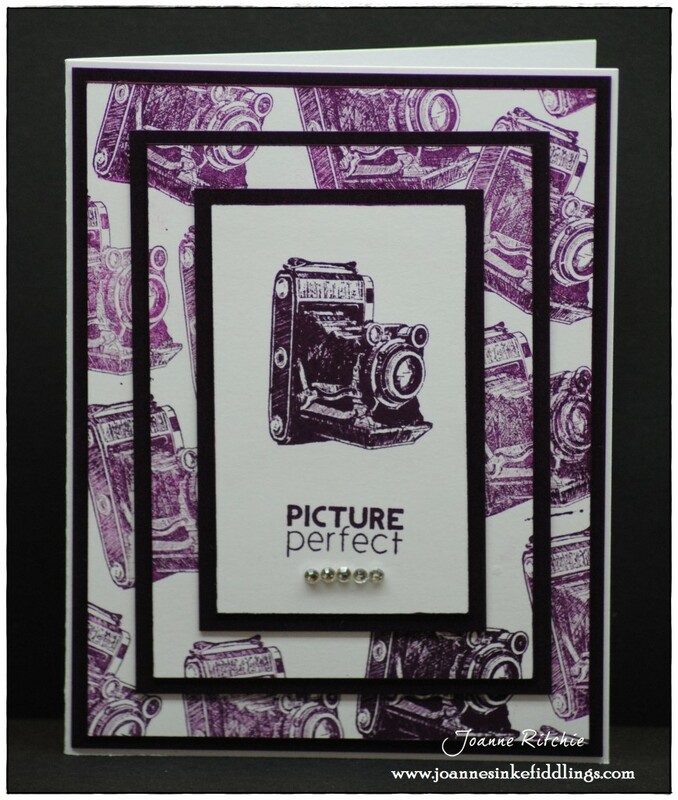 After two cards on Very Vanilla Background with Baked Brown Sugar stamped World Maps, I wanted some color so what better to reach for then the Blackberry Bliss Classic Ink with the camera in a layered-effect. 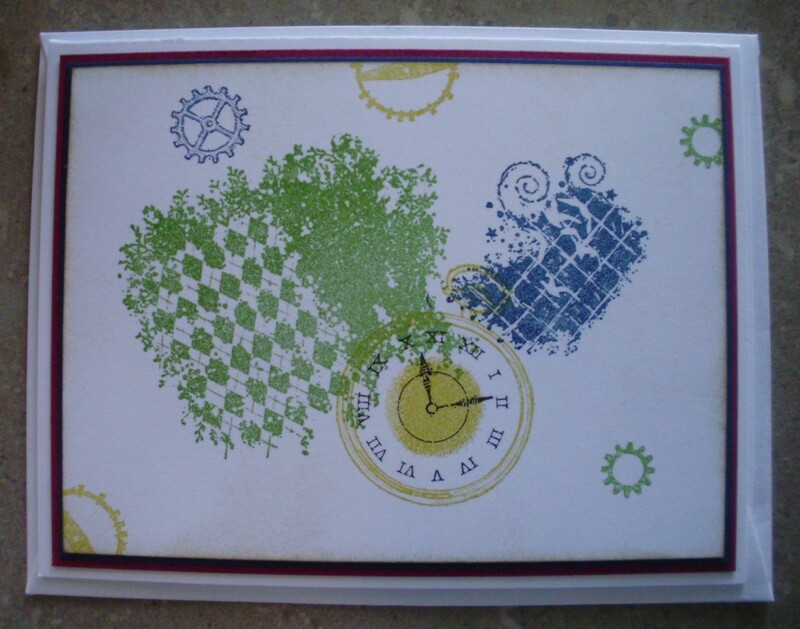 The layered cameras I “inked-off” before stamping so that the top camera would then have more emphasis. 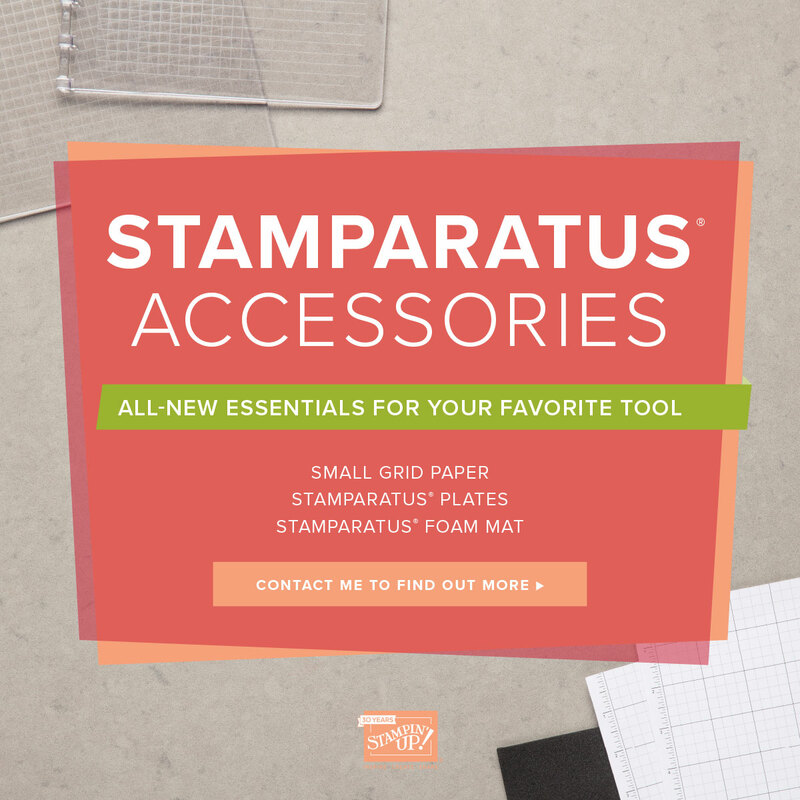 Should you need any of these three stamp sets to “complete you” please don’t hesitate to phone or email your order! We had business in Terrace on Saturday which we didn’t think was going to take so long but even with having breakfast there we still ended up racing into the house 40 minutes late for the sleepover Boy Child was invited to that night. An entire day in the blink of an eye! Hence there was no time to make a card for the birthday boy so had to find something in my already made stash. Well, in theory that should have been a piece of cake you would have thought but noooooo…note to self, MAKE MORE MASCULINE CARDS! I certainly had the coloring for males on some cards but the sentiment in retrospect wasn’t quite right. Out of all the cards I had there was only one that would be appropriate. 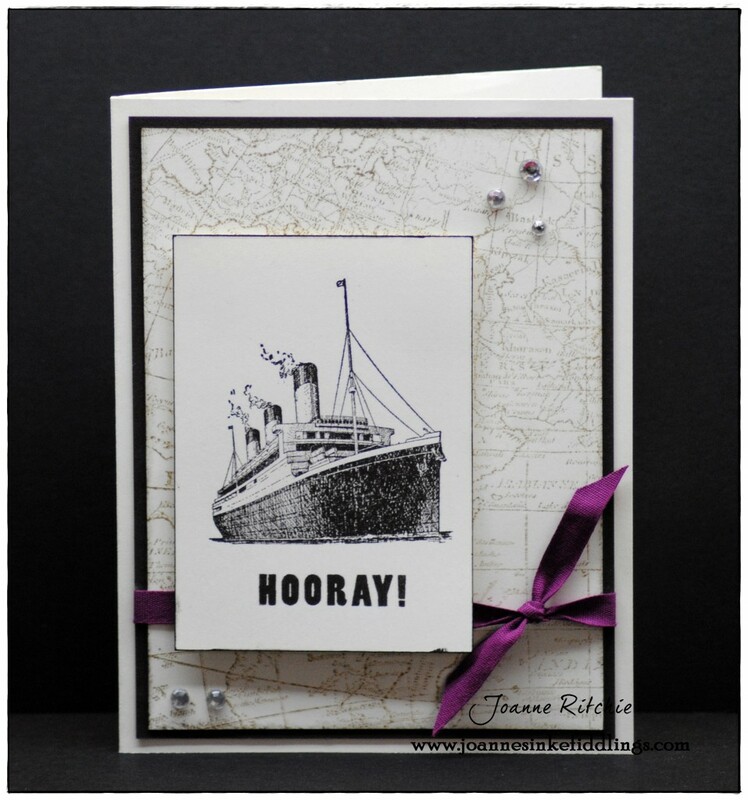 This was it made with the fabulous Clorkworks stamp set! Created in last year’s In-Colors, it really does pop don’t you think? I’m getting the feeling that I’m looking forward to these school holidays more then the children are. I can’t wait to NOT have to get out of bed and to NOT have to get out of my comfy flannies (although given the way the temperature appears to be rising each day I’m sure how much longer I’ll be able to tolerate my flannies…). I doubt if Miss Seven and Master Nine have such limited aspirations for these holidays but one can dream! Once again I fell asleep on the keyboard last night before I could resize these pics for you of my “Cup a Soup Card” and post them. If I was being paid for each time I fell asleep on the keyboard of late I’d be quite the reach little lady… if only! 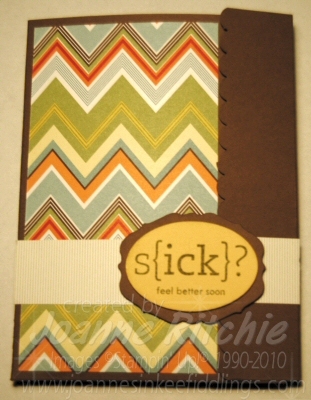 Anyways… this card came together for me after one or two of my friends returned from holidays quite sick with the flu. I wanted to send a card but knowing how ill they were it needed to be a little something more. As I was thinking out loud one of the children asked me why are you meant to eat soup when you’re sick? Good question, why? but it did get me thinking about soups and along came this card. Now… stick with me on this one as there are three pics of this one card… this is the front of the card with the Greenhouse Gala DSP (no surprises there!). Then inside I made little pockets on either side – placing the cup a soup on one side and a tag for writing on the other (I’ve taken the tag out in this photo for a reason that I can’t remember now). 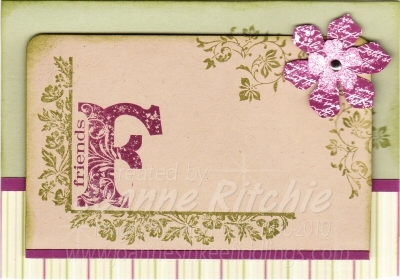 This is the tag using the Morning Cup stamp set which I just adore. I particularly love how the set comes complete with even a stamp for the steam! A potato wanted to become a newsreader but it didn’t work out. She was just a common tater! Plus the birds are singing, the flowers are blooming… aaahhhh, the first day of Spring. That was until the clouds blew in, the breeze became gusty, and the air… generally cold. Do you ever get the feeling real life and one’s perception are two TOTALLY different things? On saying this though that I must confess this morning was beautiful which worked brilliantly for Miss Seven’s and Master Nine’s Book Week celebrations on the oval. They had a hoot all dressed up – one as a witch, the other as the Hunchback of Notra Dame’s skeleton, and I as Big Red – Little Red Riding Hood’s big sister. See, she was the one who should have been looking after Grandma when the wolf ate her but instead had just stepped outside to “chat” to the woodsman about how big his axe was! Another big event today was the official launch of the 2010-2011 Idea Book and Catalogue – how exciting! No more secrets, no more narrative – you can see it all for yourselves! Whilst you are waiting for your own copy of the new catalogue, click on the picture of it just to the right to scroll through the pages… as I’ve said before, it’s beautiful. 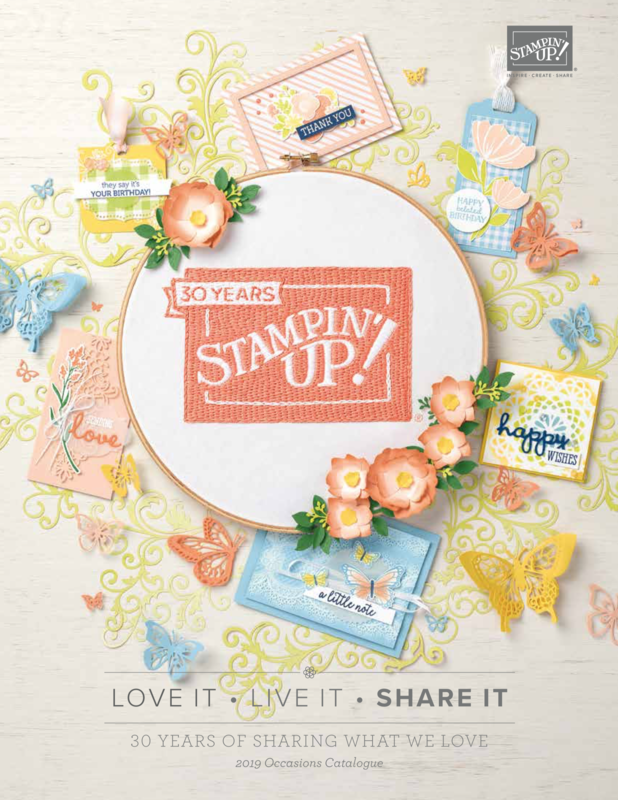 Now, don’t forget, I have the new catalogues here for $10, or if you’d like one for nothing, simply book a workshop and not only will you receive a complimentary catalogue, but you will have the opportunity to earn free stamp sets and loads of free merchandise – too easy! 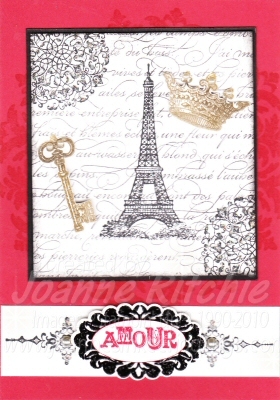 One of my “new” favourite stamp sets is Artistic Etchings – besides the wonderful Eiffel Tower, there is a fabulous circle stamp that I’ve used quite a bit already for backgrounds, along with a key, crown, and others. 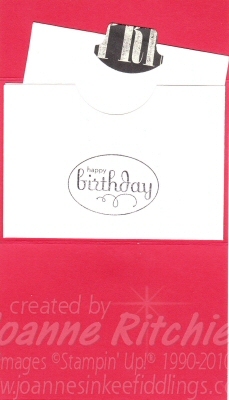 Both the key and crown I’ve embossed in gold before cutting them out and adhering to the card. I’ve also added small adhesive pearls to both of these. My dear friend ROC showed me this following little darling a couple of weeks ago. 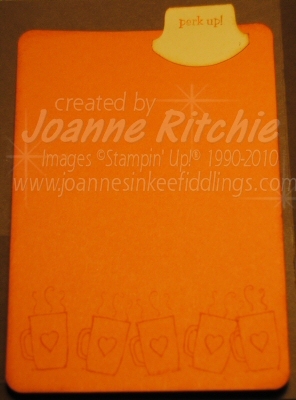 Something so very useful with the silly season looming so quickly upon us – a Gift Card Wallet! 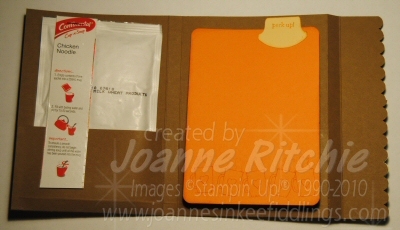 Open it up and you have this… how clever is this, the divided sections within is simply an envelope that’s been halved! Although we all went for a sleep-over with the grandparent just for last night, it was only the girls who returned home this afternoon. Master Nine felt the need for chess match – the fact neither he nor anyone close to him can play doesn’t bother him – he simply enjoys the “aura” of chess. I do think though when we have our next visit to the local library we may just have to see if there’s an “Idiot’s Guide to Chess” so we can get even a basic comprehension of the game! And in typical sleep-over fashion, Girl Child and I stayed up until midnight, sitting in the dark, wrapped in fluffy blankets, watching chick flicks whilst eating left-over KFC… well, the raspberry bullets were finished and we couldn’t find the French Fries! When we finally went to bed, Miss Seven was asleep instantly whereas I on the other hand was wide awake. 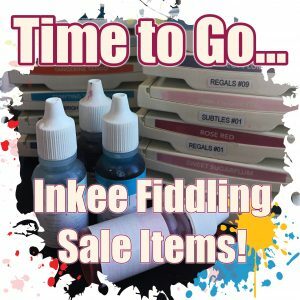 Not that it was a drama as I am still clutching my new catalogue close to my chest so I simply rewrote my Wish List until the wee hours. This has however left me feeling as if I’m ready for bed now so I shall quickly bid a Fond Farewell to Colour #26 – Mellow Moss. This card also highlights one of my favourite stamp sets, Vintage Vogue, from the Autumn-Winter catty which I’m so pleased to say has made it’s way to the BIG catty – oh the joy, oh the relief! What’s yellow, brown and hairy?